The failure of motors, pumps and related systems can have a serious impact on any business so don’t wait for a calamitous breakdown to occur before taking actionTake a more proactive approach and help prevent failure from occurring in the first place. There’s much we can do to help optimise equipment performance, prolong equipment life and help reduce costs. 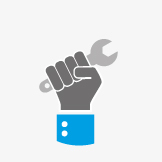 Talk to us about how our preventative maintenance programmes can help your business. At Central we can custom design a unique programme which will enable us to monitor your specific systems over a prolonged period of time. By carrying out routine checks and condition based monitoring using techniques such as alignment, balance, vibration and electrical checks, combined with our engineering experience, we can quickly recognise trends and changes in performance. We use the data we collect to recommend actions that will help prevent breakdown, improve safety, organise timing and ultimately improve efficiency and help save money.